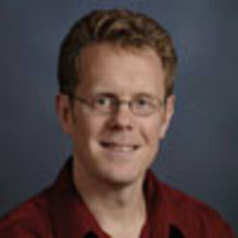 Gordon Hull joined the philosophy department at UNC Charlotte in the fall of 2008, from Iowa State University. He is a Faculty Associate of the Center for Professional and Applied Ethics and affiliate faculty with the Public Policy Program. Dr. Hull's research is in ethics and political philosophy, broadly construed, with two main areas of emphasis. One is on moral and legal issues made salient by emerging technologies, with a particular focus on intellectual property. He has written several articles in this area, most recently on the use of Lockean property theory to justify strong intellectual property rights, and a paper critical of legal requirements that public libraries install Internet filtering programs. The other emphasis is historical, where he works mainly on the early modern period. In particular, he has written on Hobbes and Spinoza, and is completing a book manuscript on Hobbes. He also reads and works in contemporary European political theory, including such figures as Deleuze, Antonio Negri, and Judith Butler.